A huge barrier for those desiring to be ‘intellectually fulfilled atheists’1 is finding a naturalistic origin of the first living organisms. Despite some evasion by major evolutionary propagandists, this is a part of the ‘General Theory of Evolution’, defined by the evolutionist Kerkut as ‘the theory that all the living forms in the world have arisen from a single source which itself came from an inorganic form.’2 Indeed, life’s alleged origin from lifeless chemicals is commonly called chemical or prebiotic evolution, or abiogenesis. In fact, readers should be aware that most researchers have already presupposed that chemical evolution happened—it must have, because we are here (and don’t give me that rubbish about a Designer, because that is not science—regardless of whether the evidence supports it)! Natural optical activity (NOA), first discovered in 1811 by Arago,14 results from different interactions of left and right-handed circularly polarised light by dissymmetric molecules. But MOA results from breaking time-reversal symmetry by a magnetic field that induces changes in optical properties of a medium. Barron now suggests extending the definition of chirality to include time-reversal as well as dissymmetry. Solving the biological homochirality problem? Rikken and Raupach8 hint at problems with MChD resolution, which are similar to those with CPL. For example, magnitude and sign (i.e. right-favouring or left-favouring) of MChD depends on the wavelength of the light. This means that resolution can occur only with light over a narrow wavelength band. Over a broad band, enantioselective effects would cancel. Rikken and Raupach show that the e.e. peaked in the negative with light at 695.5 nm, but peaked in the positive (although only half as much) only 3.5 nm higher.18 So their best results were using a laser tuned to the optimal wavelength of 695.5 nm, but this is hardly proof that this effect could arise without intelligent input. Only a very narrow ‘window of opportunity’ was found for a single, carefully selected compound. It is unrealistic to assume the D-enantiomers of all 20 essential amino acids and the L-enantiomer of all relevant sugars, including all biological polymers these form, could be eliminated under such narrow constraint. Rikken and Raupach8 agree that spatial averaging ‘needs to be addressed’ as with CPL. That is, it is inevitable that light would come in all directions relative to magnetic flux lines, rather than preferentially aligned parallel to it, so the effect would cancel out. In fact, on a typical planet with a magnetic field and orbiting a star, the light would be mostly perpendicular to the field, which has no effect. An extremely strong magnetic field was required, up to 15 T.19 But Earth’s surface field is only 3.1 x 10–5 T, and even Jupiter, the planet with the strongest field, has a field of just 4.3 x 10–4 T at its equator.20 Even sunspots, with their intense magnetic fields, go up to ‘only’ ~4 T. Neutron stars have a magnetic field of 108 T at the surface, but neutron stars are hardly suitable locales for chemical evolution! Strong laser irradiation was required—100 mW tuned to the optimal wavelength absorbed in only 50 µl of solution. This is unacceptable investigator interference for an experiment purporting to demonstrate that homochirality can arise without intelligent input. The effect is very weak—the reaction reached equilibrium after about 20 minutes with e.e. peaking at about 1.6 x 10–4, despite the unrealistically high magnetic field and irradiation. Since the slightest deviation of e.e. from unity is catastrophic for biological molecules, MChD hardly even makes a dent. Whether any e.e. at all would be detectable for biologically relevant building blocks remains to be determined. The complex begins to racemize after stopping irradiation, with a time constant21 of 70 minutes. So even under optimal conditions for producing the tiny e.e., the weak chirality is unlikely to last long enough to influence any biologically relevant molecules. Although many evolutionists appeal to long ages to solve all their problems, in reality long ages would mean more time for degradation. But will the insuperable barriers against chemical evolution make atheists abandon their faith? Most unlikely, given the amount of research funding spent on chemical evolutionary experiments. It must be noted that atheists have a form of presuppositionalism, although it is misguided and baseless, while biblical presuppositionalism is firmly grounded on the Bible’s self-consistency and the teachings of Christ. Yet evolutionists frequently chide creationists for not abandoning their beliefs because of some supposedly irrefutable proof of evolution or argument against a ‘young’ Earth and global Flood. 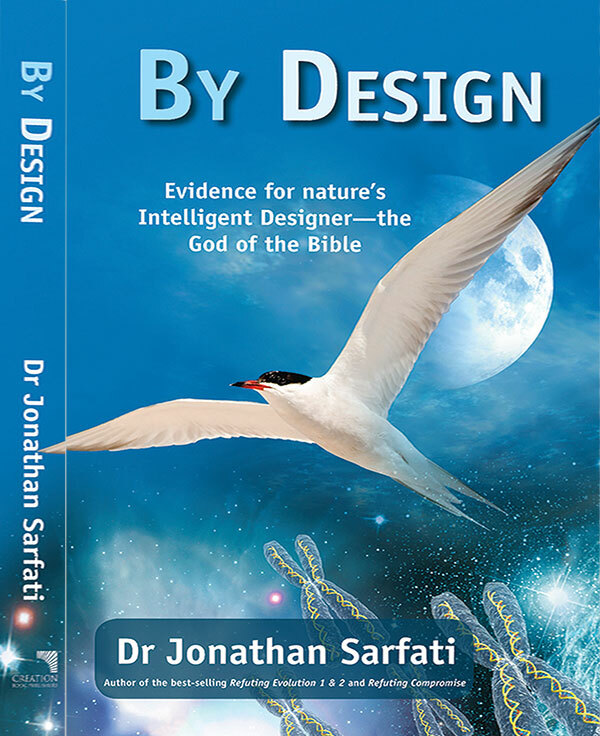 Even worse, many Christian leaders ‘re-interpret’ Genesis to fit theistic evolutionary or other ‘billions-of-years’ views simply because they have no immediate answers to apparent problems with the straightforward meaning. Leading atheistic evolutionary propagandist Richard Dawkins credits Darwin for making such people possible, The Blind Watchmaker: Why the evidence of evolution reveals a universe without design, W W Norton & Company, New York, p. 6, 1986. Return to text. Fraser, C.M. et al., The minimal gene complement of Mycoplasma genitalium, Science, 270(5235):397–403, 1995; perspective by Goffeau, A., Life with 482 genes, same issue, pp.445–6. Return to text. 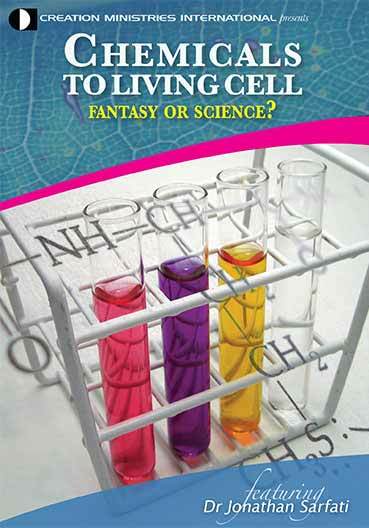 Aw, S.E., The origin of life: A critique of current scientific models, CEN Tech. J. 10(3):300–314, 1996. Return to text. Thaxton, C.B., Bradley, W.L. and Olsen, R.L., The Mystery of Life’s Origin, Philosophical Library Inc., New York, 1984. Return to text. Bird, W.R., The Origin of Species: Revisited, Thomas Nelson Inc., Nashville, Tennessee, Vol. I Part III, 1991. Return to text. 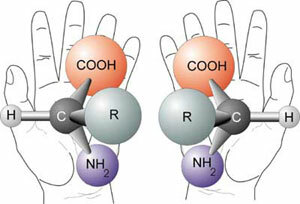 For more information about the homochirality problem, and inadequacy of proposed solutions, see Sarfati, J.D., Origin of life: the chirality problem, CEN Tech. J. 12(3):281–4, 1998. Return to text. Rikken, G.L.J.A. and Raupach, E., Enantioselective magnetochiral photochemistry, Nature 405(6789):932–5, 22 June 2000. Return to text. Barron, L.D., Chirality, magnetism and light, Nature 405(6789):895–6, 22 June 2000; comment on Ref. 8. Return to text. Wagnière, G. and Meier, A., Difference in the absorption coefficient of enantiomers for arbitrarily polarized light in a magnetic field—a possible source of chirality in molecular evolution, Experientia39:1090–91, 1983. Return to text. Lamont, Ann, 21 Great Scientists who Believed the Bible, Creation Science Foundation, Australia, pp. 120–131, 1995. Return to text. According to Barron, Ref. 9. Return to text. Barron, L.D., Can a magnetic field induce absolute asymmetric synthesis? 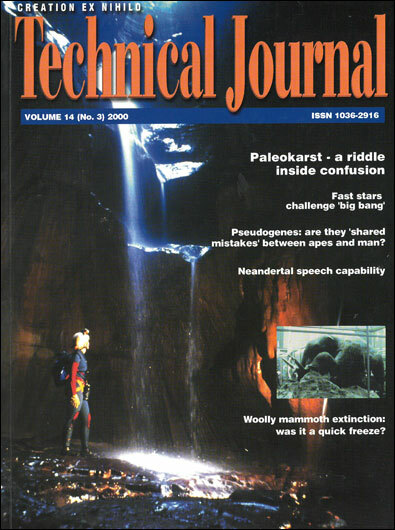 Science 266(5190):1491–1492, 2 December 1994. Return to text. Arago, according to Rikken and Raupach, ref. 17. Return to text. Wagnière, G. and Meier, A., Chem. Phys. Lett. 93:78–81, 1982; cited in Barron, Ref. 9.Return to text. In more general terms, the effect depends on the relative orientation of the wavevector of the light (k) and the magnetic field (B), i.e. proportional to k•B. Return to text. Rikken, G.L.J.A. and Raupach, E., Observation of magneto-chiral dichroism, Nature 390(6659):493–4, 4 December 1997. The complex was Eu((±)tfc)3 (tris (3-trifluoroacetyl-±-camphorato) europium III), where ± indicates handedness. It was dissolved in deuterated dimethyl sulfoxide. MChD was observed via luminescence anisotropy Return to text. Rikken and Raupach, Ref. 8, Fig 3b. Return to text. T = tesla, the SI unit of magnetic flux density. 1 T = 104 gauss. Return to text. Solar System, The New Encyclopædia Britannica 27:504–603, 15th Ed. 1992; p. 561. Return to text. The time constant (τ) is the time for an exponentially decaying quantity (in this case, e.e.) to decrease to 1/e (~36.8%) of its initial value. The half life (t½) is related to the time constant by t½ = ln2.τ (~0.693τ) Return to text.